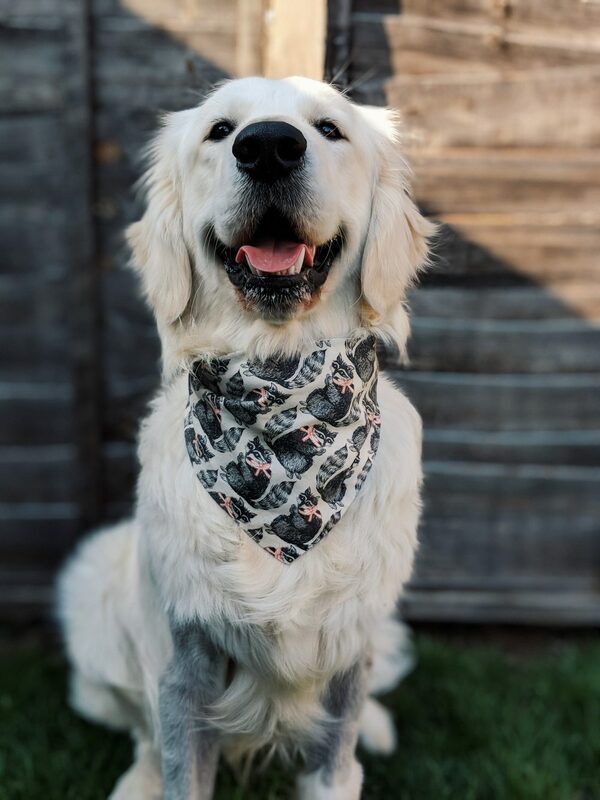 We’ve recently replenished his bandana collection and always try to support small, independent artists either on Etsy, Notonthehighstreet or similar. The bandana we ordered was the ‘Racoon triangle’ – it has subtle lines on the one side with cool racoons on the other. 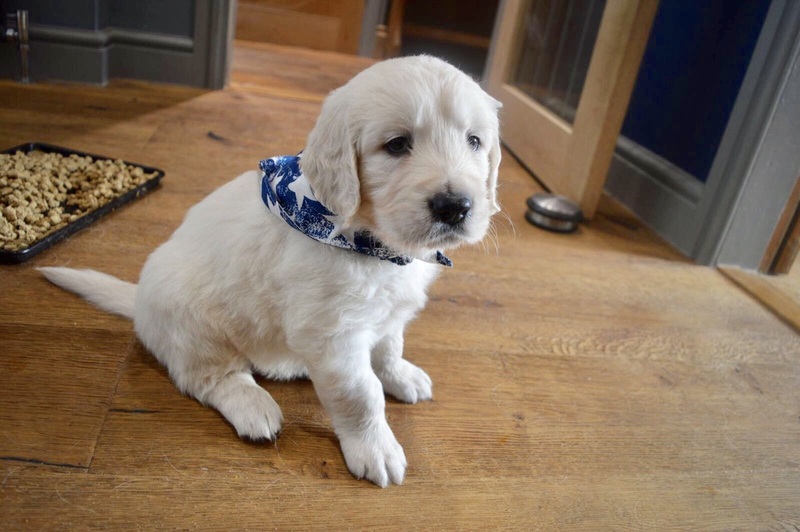 I love double sided bandanas because it’s like two for the price of one – happy days! 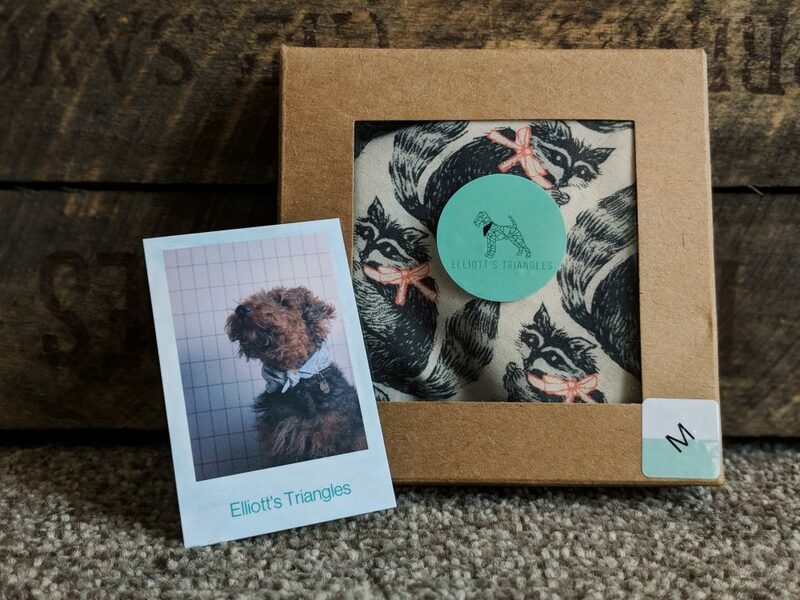 Once I placed the order, I received a note to say that the Racoon triangle, was actually the first bandana that was made and it started Elliott’s Triangles. I thought that was a really nice touch. I ordered a medium and it fits Woody perfectly, although I’m not sure how long for – he’s growing boyo! When I place my next order, I will definitely go for a larger. The fabric seems to be great quality and it all came in a lovely presentation box and I recieved super speedy delivery. I think I will just leave you with this photo of the man himself looking oh so smug about his new bandana.